From the Scottish Geographical Magazine. Published by the Royal Scottish Geographical Society and edited by James Geikie and W.A. Taylor. Volume XII, 1896. 1896 was the year in which a British expeditionary force invaded Asante (with which it was not at war) and enforced a 'regime change' by abducting the Asantehene Prempeh I and transporting him successively to Elmina, Freetown and the Seychelles. 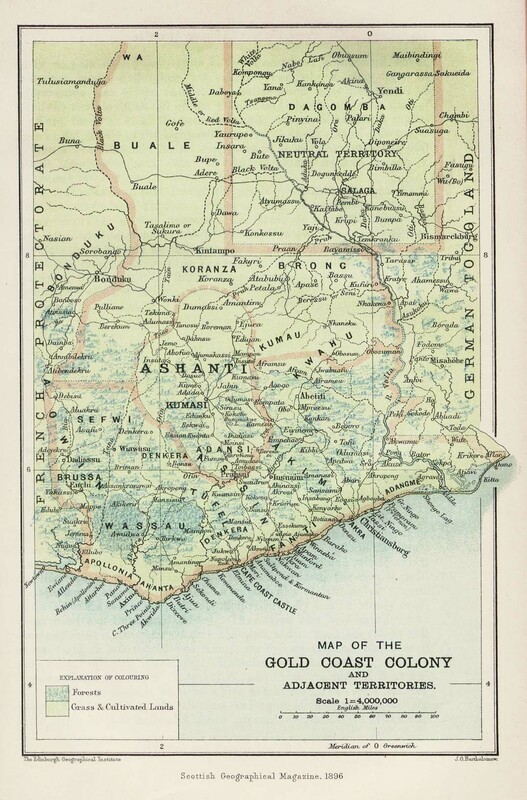 He was not permitted to return to Kumase until 1924. 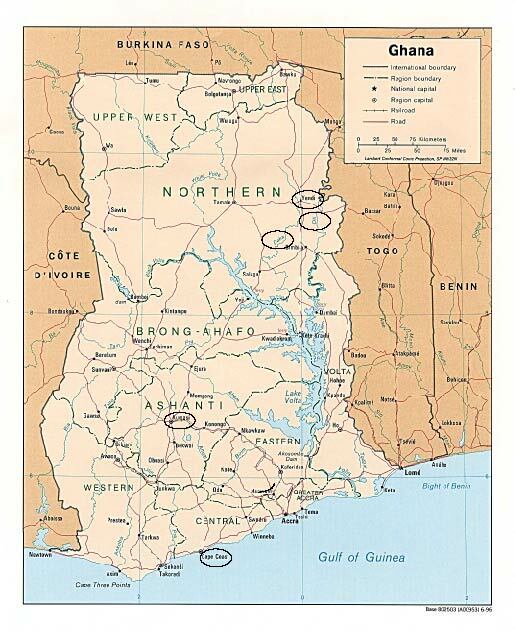 Features and place names which appear in Ama are shown ringed. 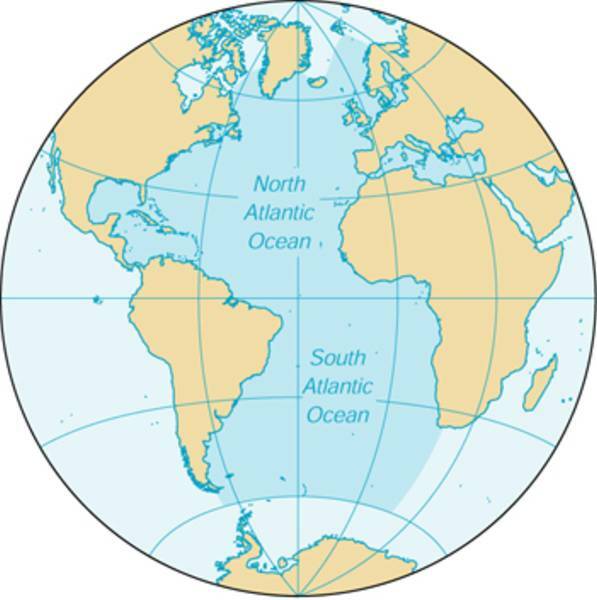 Features and place names which appear in Ama are shown ringed. 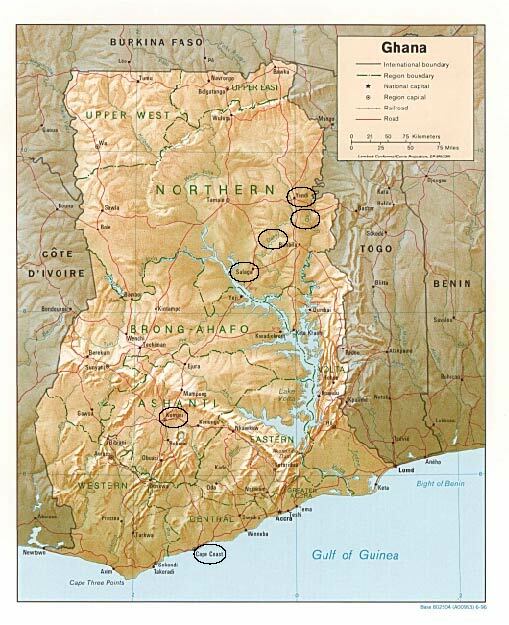 The site of the original town on Kafaba has been submerged by the Volta Lake. 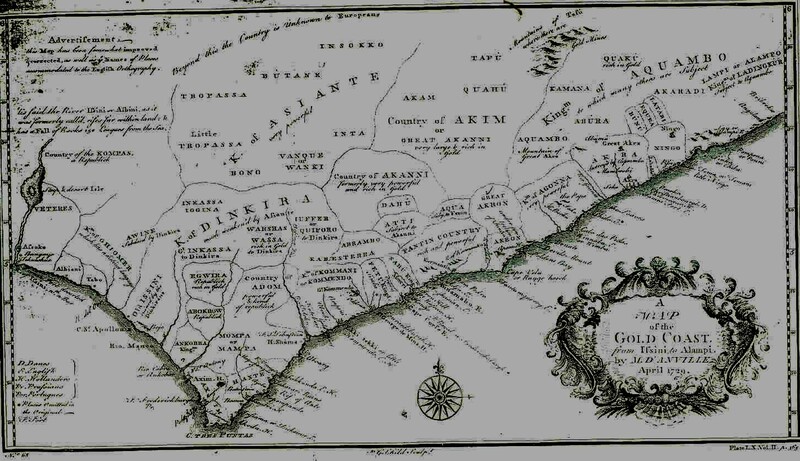 Elmina is not shown but that town has certainly not been submerged. 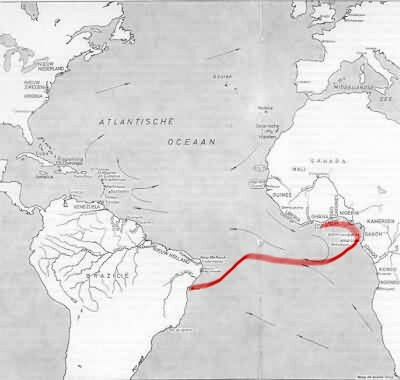 Salvador is shown (1). 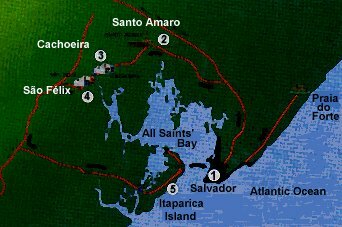 Ama's fictional engenho might have been in the vicinity of Santa Amaro (2). 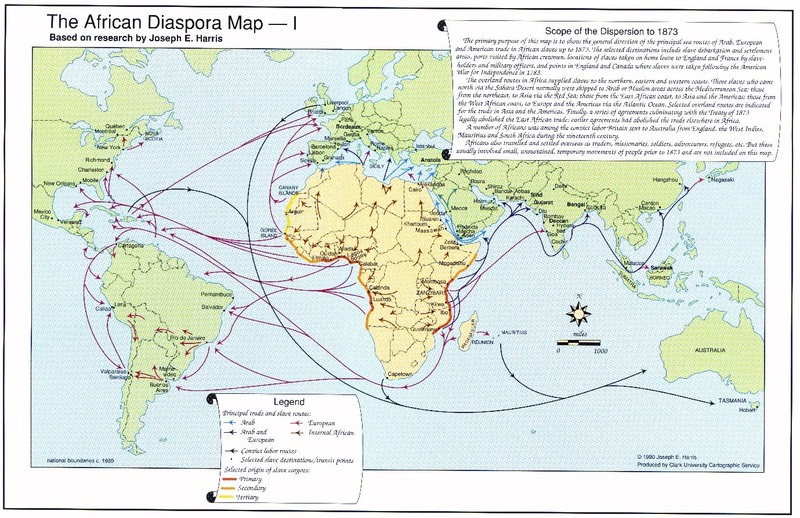 Africa Data Dissemination Service "this site lets you view or download topographic maps, reference maps..., or data by country, region, or the entire... continent. " 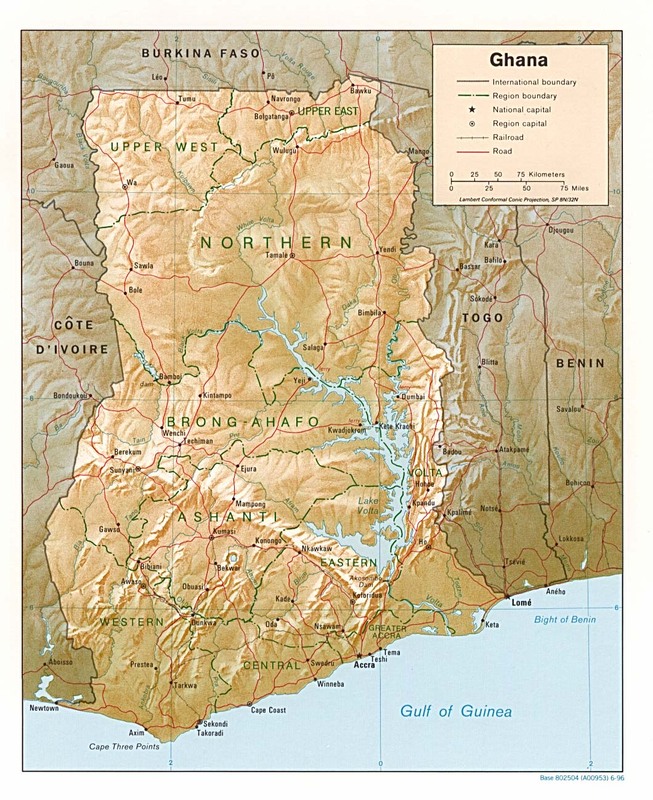 Seven maps of Ghana: political and shaded relief. From 1upTravel.com. 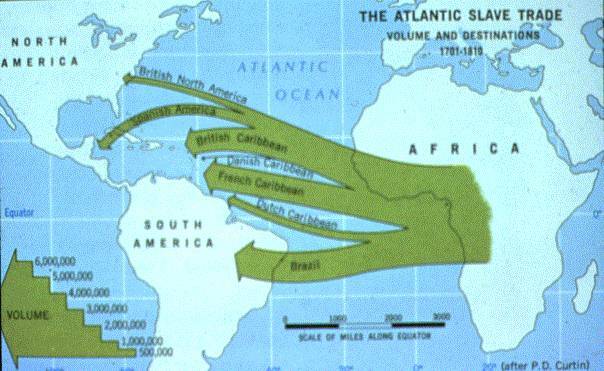 Map depicts the movement of Atlantic slave trade, indicating volume and destinations from 1701 to 1810. From the Scottish Geographical Magazine. 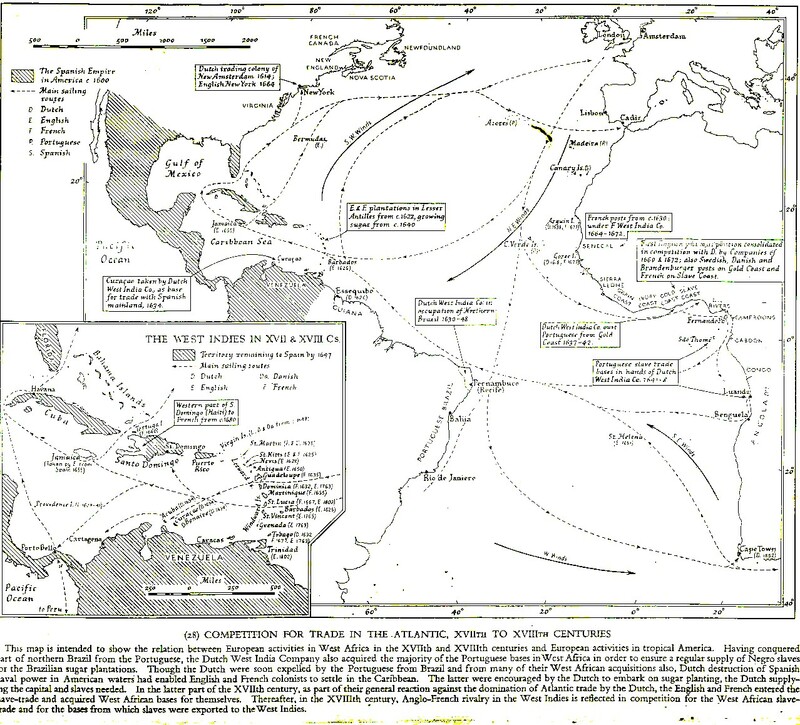 Published by the Royal Scottish Geographical Society and edited by James Geikie and W.A. Taylor. Volume XII, 1896. 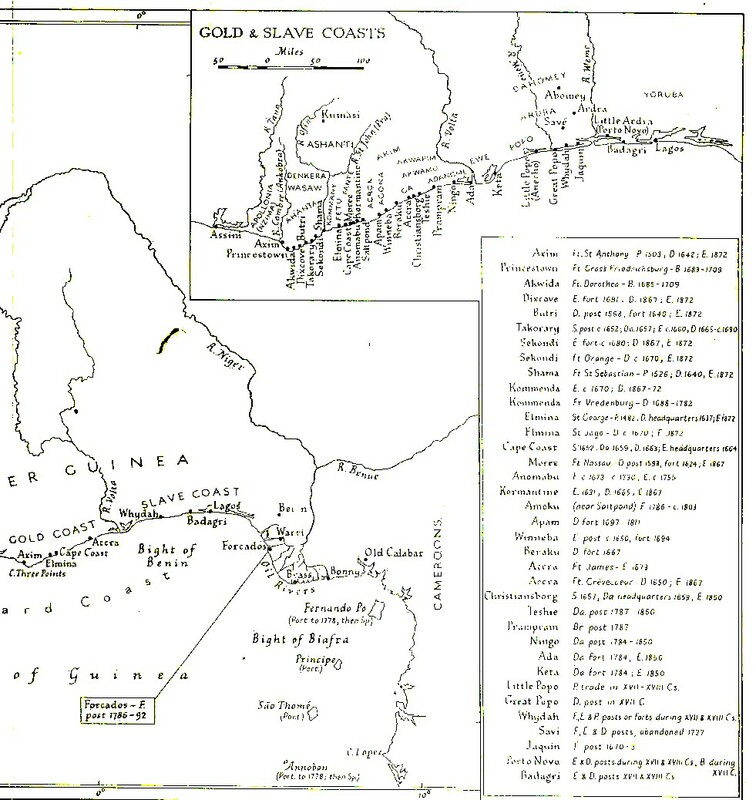 Shows Yendi, Daka River, Kpembe (look for Salaga), Kaffaba, Volta River, Kumasi, Elmina, etc.